My friend and fellow crafter, Zoe was particularly delighted to make all of her 4 Mothers Day cards plus a spare for any occasion as well as a box for chocolates and a special make for Mothers Day presents…. More on the extras another day! But I had to pop onto share Zoe’s version of the “Amazingly Amazing heart card” – made so as to fit the HAPPY MOTHERS DAY greeting – love this version Zoe…. told you I had to share! Thanks for letting me…. Oh and before I go… here are this week’s Weekly Deals – I think I can see a “Happy Easter banner” being created here in March and a ribbon stock up too! And talking of Sale A Bration… I am delighted to tell you that there are 4 new items that you can earn for free during March. These are in addition to those previously published. Little sneak peek pictures below… don’t know why the Coastal Cabana colour in the Thanks card etc looks like such a vivid green!! - but go here for full information…. I personally can’t wait to get my hands on those vellums and the large THANKS stamp! Here is a project that we made at our January Jems Training session. 4 lovely cards and a simple box to put them in. Featuring Painted Blooms papers and Painted Petals stamps. Love these Julie…. and so do many of my ladies that craft! So there will be a fair number of these made this week at The Craft Spa…. Think my mind must have still been thinking of hearts when I made this one! And finally the little box…all wrapped up with a sparkly Something Borrowed embellishment to finish. Love these little embellishments. More on those soon…. Loving my Painted Petals stamps. I can feel a series coming on…..
Let’s start with something simple…. grab some white and crumb cake notecards & envelopes, some Whisper White cardstock, Rose Red, Wild Wasabi, Soft Sky & Craft Whisper White inks & some sponges. Oh and maybe a few other things as we go along…..
And just create…. no fuss, no bother… simple but gorgeous! Keeping it clean & simple… Direct Wild Wasabi ink pad around the central Whisper White panel. Gems coloured using Blendys…. Could maybe do with a close up photo here…. the central panel flowers are inked with Rose Red..then extra highlights added using a Rich Razzleberry marker… yummy! A bit of faux shadow work…. background of whisper white flowers over-stamped with Rose Red flowers. And central Whisper White panel Soft Sky sponged all over then Wild Wasabi sponged around edges…. Central white panel all Soft Sky sponged and Dazzling Details applied to the flowers. So pretty! Crazy About You and a bit of Kissing still! Yes we still have some Kissing going on….just gives a highlight on the Sahara Sand leaves. But these cards have been made just to demonstrate the versatility of the new Crazy About You stamp set… not only do you have some great words & greetings…but some fabulous leaves and great flowers too. The inking of the flower was using Soft Sky with a dab of Lost Lagoon to the petal centres to add some dimension & graduated colour – proved very effective! This flower ( in its full form) does punch out with the new Flower Medallion Punch – though I didn’t have the punch at the time so this one is hand cut… and then I didn’t stop – I just stamped a few more flowers and cut out 3 more layers from within the image… loads of dimension on this flower! Last Kissing with Groovy Love card in the series…. Bet you thought it would never end…. the series ends with the simplest card of them all… Just had to show you the wonderful new Sahara Sand Lace trim… love it … just waiting for my second reel to turn up! I have to laugh at myself though… as the plan was to make about 6-8 cards using Groovy Love… but then Something Lacy & the kissing technique came along… and I think I have ended up making over 20 cards with the hearts….. maybe I am beginning to have a place for hearts in my crafting after all!! And I am pleased to add that my I have some very happy ladies who purchased the Groovy Love set as part of their January class kit (whether for here at home or away at theirs… ) – they now have loads of ideas to create with their new stamp set & punch…. Enjoy! Nearly finished sharing my Groovy Love hearts and Kissing Technique cards….. here we have the Kissed heart & Larger Than Life alphabet – coupled with part of the image from the Big On You stamp set. Simples! You Make Me Happy with Groovy Love …. Very rapid share today … just realised that the electricity is off today in the village…so I am racing to beat the switch off!! Another one that is as simple as simple can be… just the YOU MAKE ME wording from the Crazy About You stamp set & 4 punched hearts in subtle colours with HAPPY overstamped on each of them. Says it all! 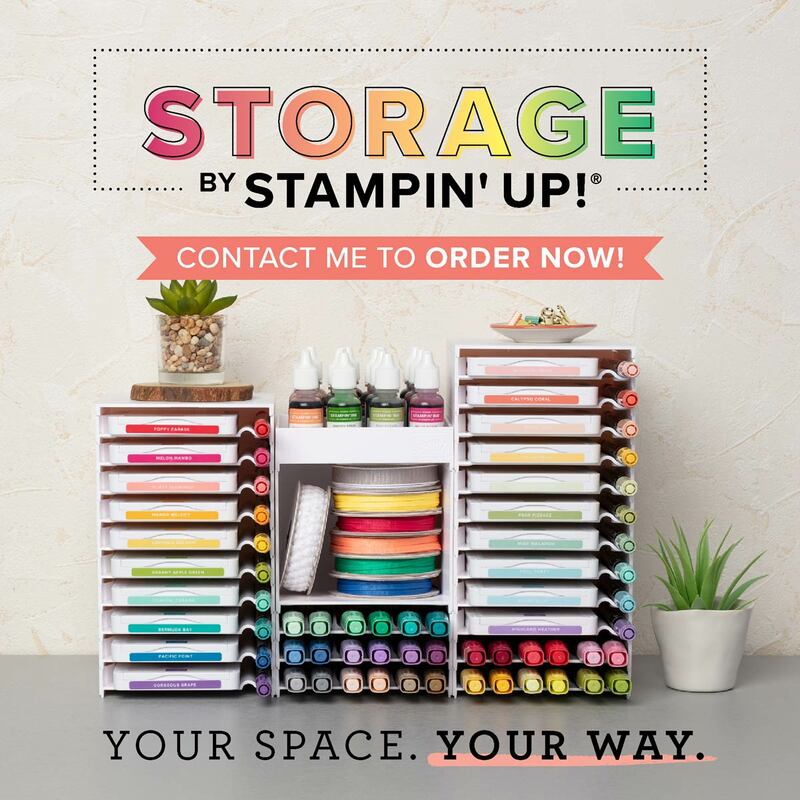 Loving the Crazy About You stamp set…a definite winner in my craft room! Remember that the Weekly Deals have just been updated today too….. I’ll be back when I can to add a picture. Before I start – remember that tomorrow, Tuesday 17 February is the last day to get your Magnetic Big Shot platform with 25% off… just £26.96 instead of RRP £35.95. Just email me to order OR go here to order it for yourself through my online store (remember to enter hostess code XVHYAMZ6 for an extra freebie from me through the post!) Rest of the Weekly Deals with 25% off here… Also remember that £45+ gets you a free exclusive Sale A Bration item too…. So a couple more Clean & Simple wedding cards using the Groovy Love and Cheers to Love combination. First made with Shimmer Gold card, Encore Gold ink , Very Vanilla & Basic Black card & Memento black ink. Second with Shimmer Silver card , Encore Silver ink & Whisper White card & Memento black ink..
Rather different colourway for me! This little trio has been put together for one of my new crafting ladies who has a love for hearts, Bermuda Bay, Perfect Plum, Island Indigo & Smoky Slate…. So here is a simple little trio for all occasions that she can reproduce simply & lovingly with her new ink pads, Groovy Love stamps & punches! Though she may need Teeny Tiny Sentiments or Crazy About You to complete the look…. And finally – a ready made SU! notecard punched from the bottom. Larger dotty border heart stamped around & a punched heart placed through the aperture onto the inside of the card. Doesn’t photo well but looks very effective in the flesh. Just popping on to share a simple make for the 2 boys in my life! Though watching them try to get into the chocolate rose was a hoot!! Rather well sealed at the top…. which I knew – because I had planned to change the leaves in the tube…and I gave up trying to get in….. Couple of chocolate roses I picked up from my favourite bargains store! Wrap Stacked with Love paper around them. Made a bow using the Bow Builder Punch. 5 minutes later & there you have it! And a couple of Tiny Treat boxes – one of which I shared earlier – crammed full of yummy wrapped chocolate hearts & caramel hearts. Two happy boys today…. But it was a shame there wasn’t enough room for all the chocolate when I packed them….yum!! Can’t get much simpler than this…. but everyone in the Craft Room has commented on this card – so it obviously stands out from amongst the crowd!! Less is more today…. Loving this pairing of Groovy Love and Cheers to Love. Along with the Sweetheart Punch…. Inside view – and a great way to thicken up a card blank to add to the quality feel…..
Quick post today seeing as I did two yesterday! But don’t forget the fabulous deals on Big Shot Magnetic Platform and various dies this week! Don’t miss out!! Another sample from the Team Training Inspiration Table - showcasing the Highlighted Kissing Technique. This was also my swap card…although I didn’t do the background gel pen highlighting…. thought a bit of homework would be nice! If you missed it … go here for more details on this Kissing Technique…. Big Shot Magnetic Platform with 25% off! Amongst other Weekly Deals! Had to come straight on to share this week’s fantastic news…. I know many of you will be happy with this deal! Stampin’ Up! Weekly Deals include the WONDERFUL Big Shot Magnetic Platform…. at 25% off… Now only £26.96 ( RRP £35.95) For 7 days only. Finishes Tuesday 17th February. Now please believe me… when I say I would not be without this platform!! It is a vital part of your diecutting kit when it comes to using thin metal dies… aka Framelits, Edgelits and the like… I never did get on with trying to hold things in place with post it notes… Please get yours before stocks run out with this offer on…..
Actually this week is a bit of a Die delight for us Big Shot lovers! See my favourite Moustache die too…. Santa just wouldn’t be Santa without this!! And the Label This Kitchen digi-download is a old-time favourite of mine too!!! Go here for the full lowdown on the Weekly Deals…. but do remember that if you add other items to your order – and order £45s worth – then you get an exclusive Sale A Bration item for free too!! Please note that this is my second post today – scroll down or go here for todays Creative Share using the Sheltering Tree stamps and the Sale A Bration Irresistibly Yours papers…. Note – 2 posts today! – go here for exciting Weekly Deals news!! Big Shot Magnetic Platform with 25% off!! Oops I couldn’t keep quiet about that!! Another quick share of a project made for the Team Training Sale A Bration inspiration table. The tree and bike are heat embossed using black embossing powder onto the Irresistibly Yours paper. Then that whole panel daubed & sponged with Lost Lagoon ink. The stripey panel was a bit more time consuming…. All daubed using Soft Sky. Then separate lines masked either side and coloured using either Lost Lagoon or Black marker pen… I can hear you asking why I didn’t daub the Lost Lagoon & Black!!! Simply as I had the marker pens to hand…I would have had to have gone upstairs for the ink pads & daubers!! And I have to admit that the black marker pen particularly worked a treat…. the black is really deep & dark…. The greeting is stamped in Memento Black, coloured in using marker pens and then punched using the Wide Oval Punch. A bit of matting of the panels onto Whisper White, a few wraps of Basic Black Bakers Twine. And there you have it! Great card for the menfolk…. Actually this card was produced for our Team Training Sale A Bration Inspiration Station…. featuring the wonderful Irresistibly Yours papers – and the Best Day Ever and Simply Wonderful stamp sets (all free with a £45 order whilst the Sale A Bration promotion is running) With the gorgeous Spring Flowers embossing folder thrown in as it co-ordinated so well…. So I got inky with my Sahara Sand ink and the papers and embossing folder… very therapeutic… and to great effect…. 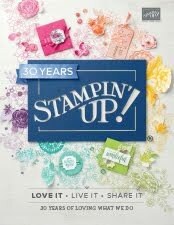 More on inking up the papers another day – but in the meantime here is a video by Stampin’ Up! showing you many ways of inking up the papers… I am a dauber or sponger – how about you!? Front of card – featuring the inked and embossed Spring Flowers…. I haven’t inked up an embossing folder in an age – but this one works so well – so glad to have it in my stash! Now this was the Wedding card I originally designed for my January classes…. but when I came to prep… my cupboard proved bare… no more 12x12 Sahara Sand cardstock …. so hence the quick new version and a Double Display card from our A4 card. Have to point out …that this version is as the very original version … ie no Square added to the front… just worked that way with the wording I used…. I am so loving the new Big on You stamp set…. Now where are my pearls to dress this up a bit more!! Large Square Double Display Wedding Card– and Kissing with a Twist! Staying on my Groovy Love projects for now…. 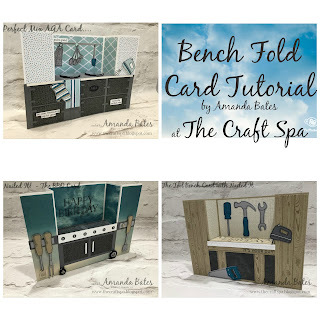 here is a card that combines a number of my current favourite products and techniques… so you will get to see more of these products/techniques over the coming weeks! (1) Large Square Double Display card…. Say no more! Link to the 12”cardstock tutorials here. Imperial version . Metric version. (2) Something Lacy background stamp set… beautiful! (4) Something Borrowed papers – right up my colour street! (5) Sahara Sand, Whisper White and Lost Lagoon colour combination – yum! And last but very definitely not least…. (6) THE KISSING TECHNIQUE…. This was one of the first techniques I learnt when I signed up with Stampin’ Up! nearly 7 years ago! And I am happy to bring it back to my crafting space…. and I am surprised at how many people didn’t know about it….so I would like to introduce it or bring it back to yours too!! See the &heart image in the centre… that is a perfect solid stamp for the technique – coupled with the beautiful Something Lacy stamp set… If you don’t know about the Kissing Technique – just go here for a simple explanation.